With the weather starting to get colder, and the days shorter, you are probably experiencing a bit of a chill at night now. This is also the time of year where you are still RVing in cooler climates before either heading south for the winter or storing your RV until next season. 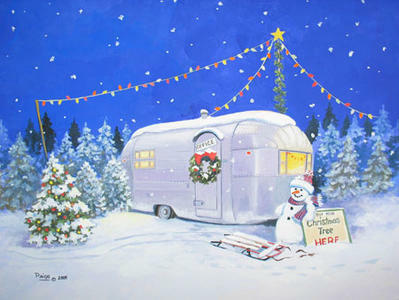 Staying warm and comfortable in your RV is a key to have a great trip this time of year. No one likes sleepless nights shivering the whole time, so how should you stay warm? The easy answer is your RV furnace, but you may be out at a camp site when that breaks down, so what are you back up options? The two most popular choices are heating strips and portable heaters. Like all things, there are pros and cons that go with both, and it is more of a preferential choice. Let’s look at portable heaters first. The great thing about these are that they do a good job heating a small space. At night, shut the door to your room and turn one of these on and you will stay warm through out the night. They are also quiet, which is key to falling asleep. The problem with them is that they tend to break down easily over time. If you buy one you can expect to buy another after a few years. Also, there is always to risk of fire with these heaters, due to the exposed heating coils. If you use one, be sure to put it in a safe place out of contact with combustibles. Another option is a heating strip. A heating strip is installed in the air conditioner and it is a 1500 watt heater. This option is good because it is generally more reliable than the portable heater, and it doesn’t take up any extra space in the RV. The not so great part about them is that you have to run your A/C fan through the night, and it doesn’t heat your rig nearly as well as the portable heater. You won’t freeze to death with one, but you won’t be toasty. If all else fails, keep extra quilts and blankets in your RV and bundle up for warmth. 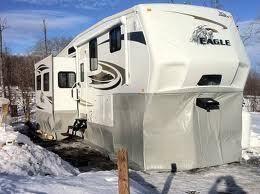 If you are looking for a new RV ta stay warm in, be sure to come into Lerch RV.